They made the trip to the VELUX EHF FINAL4 in each of the past three seasons, but star-studded Paris Saint-Germain have yet to lift the trophy. After losing the final to Vardar in 2017, they stumbled over Nantes in the semi-final in 2018. So, the big question ahead of the 2018/19 season: With a new coach on the bench and several new faces on the court, can Paris finally deliver this time? - Will the team play differently with Raul Gonzalez on the bench? Former THW Kiel coach Noka Serdarusic led Paris for three seasons. After reaching the summit with Vardar in 2017, Raul Gonzalez has now taken over. With so many stars on the team, will this change make any difference on the court? “It’s all about details when you play at this level, it’s not going to be a revolution. The change between Noka and Raul hasn’t been a dramatic one,” line player Luka Karabatic says. Gonzalez is a young trainer, who was successful at Vardar with a team that contained a lot of well-known players, too. The first competitive matches might give an idea of any changes to PSG’s game. - Is pressure mounting after three failed attempts in three years to win the trophy? - Are Paris the definite favourites in their group? 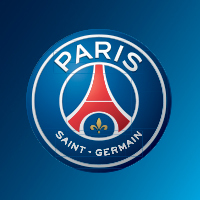 PSG avoid other European powerhouses, such as Kielce, Veszprém or Barça Lassa, in the group phase. But Group B will not be a walk in the park for PSG, as they will have to travel to Flensburg, a place they’ve only succeeded once. And Nantes are their opponents again. “A team like Szeged is even stronger this year and I remember the outstanding atmosphere in their arena. With Skjern, who beat Veszprem in the Last 16, Zagreb and Zaporozhye, it is very far from easy in this group,” Martini says. After an eight-month break between June 2017 and March 2018, the Swedish left back rejoined German side Rhein-Neckar Löwen, and he proved he hadn’t lost one bit of his handball skills. Paris picked him as the player who should be able to make a difference on both sides of the court. Powerful and experienced, he will be the X factor for Paris this season. Spanish is the second language in the PSG dressing room, with two Spanish coaches and five players with a history in the ASOBAL league. Nikola Karabatic and Viran Morros met each other in Barcelona, while Mikkel Hansen wore the Barça jersey earlier in his career. Also, Luc Abalo and Raul Gonzalez know each other from their Ciudad Real days. Three times did PSG travel to Cologne but they are yet to win the VELUX EHF FINAL4. They are closing in on Veszprém’s record of four fruitless trips to Cologne. Obviously nobody in Paris likes the game ‘four in a row’ too much.